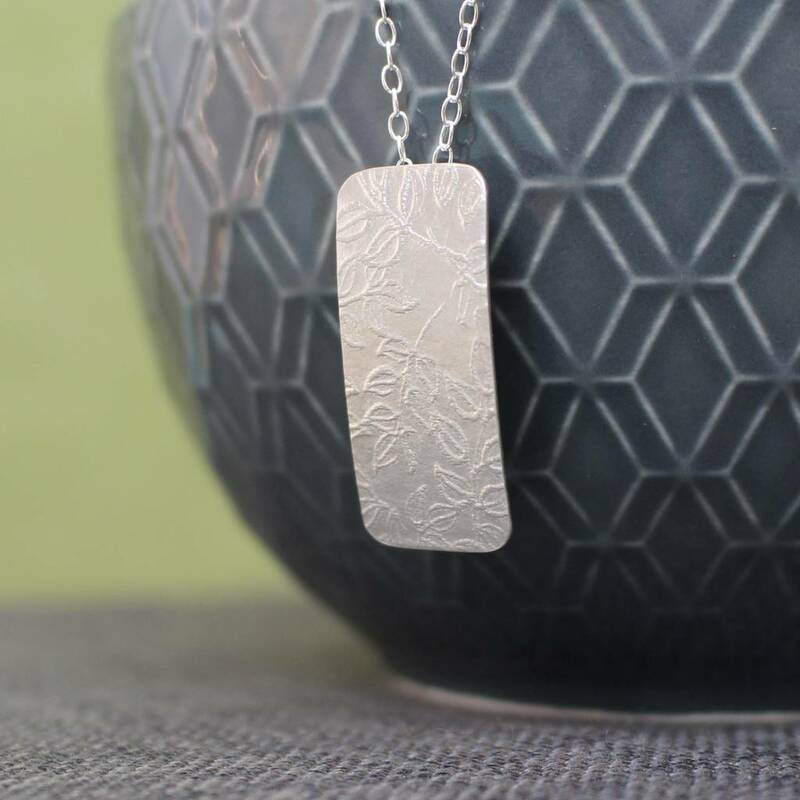 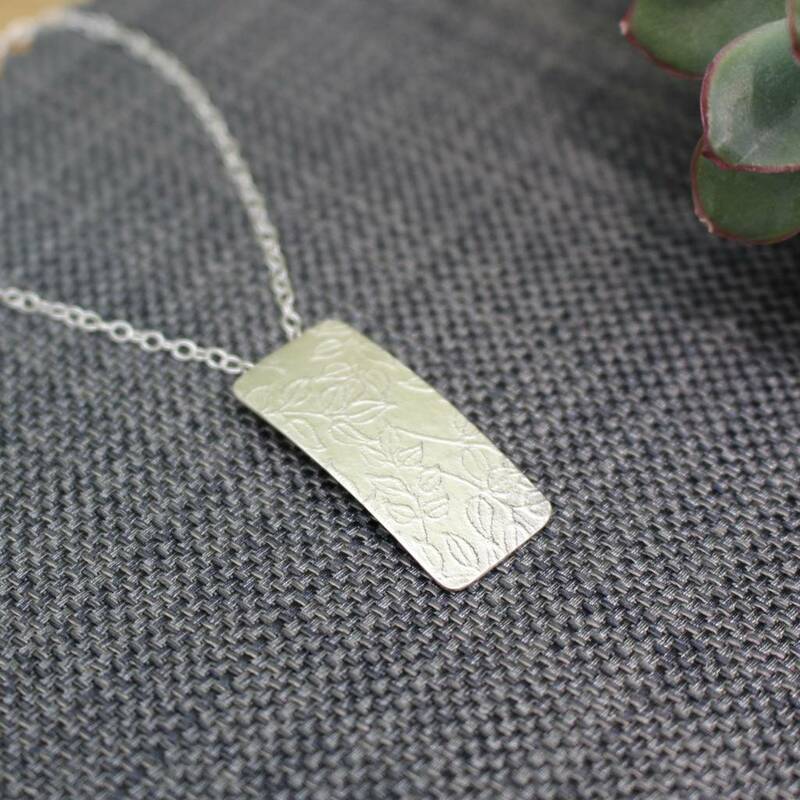 A sweet and simple tag shaped sterling silver pendant embossed with a beautifully tactile texture of interwoven vines. 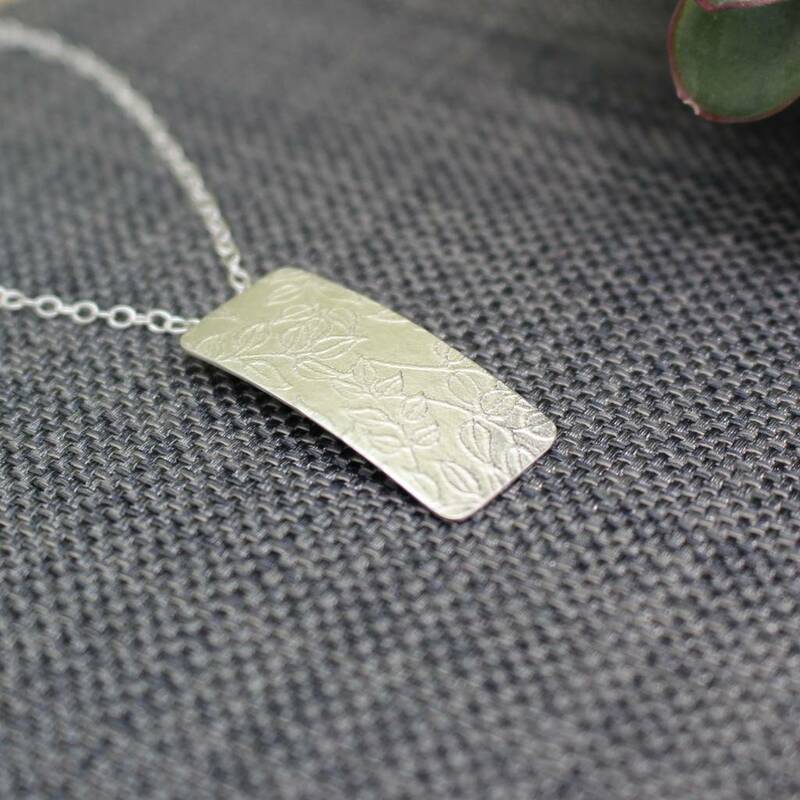 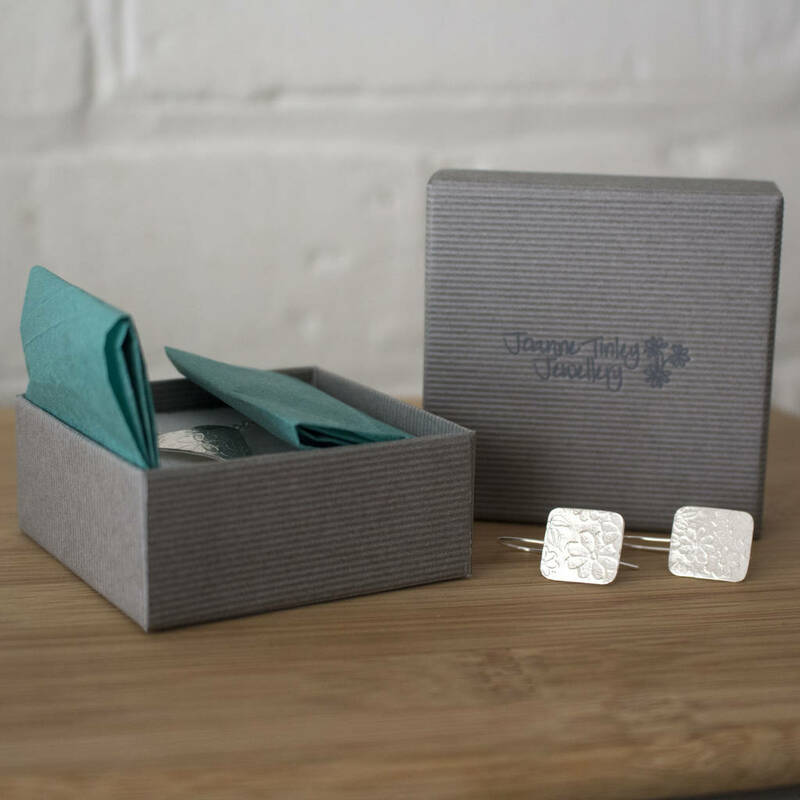 Beautifully easy to wear with a design inspired by trees in my garden, a perfect reminder of summer days. 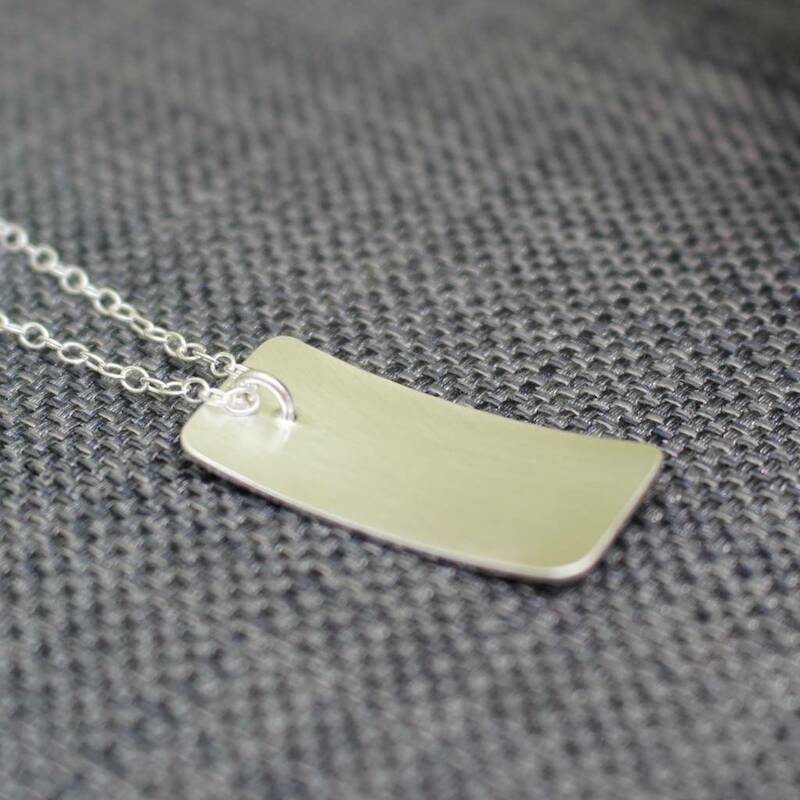 The pendant measures approximately 1.3cm by 3cm and comes complete with your choice of 16" or 18" sterling silver trace chain.